One of the finest small books on church history is The Story of the Christian Church by Jesse Lyman Hurlbut. It was first published in 1918 and later revised. The chapter: “The Rise of Mohammedan Power” represents a succinct discussion of the religion of Islam. With some minor revision for smoothness and accuracy, this chapter is reproduced in the following article. 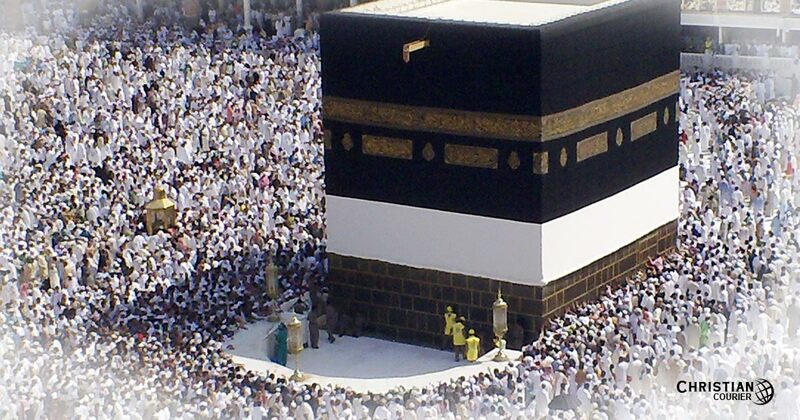 The founder of Islam was Mohammed, born at Mecca, in Arabia, A.D. 570. He began his career as prophet and reformer in 610, when forty years old. At first disciples were won slowly, but his cause grew sufficiently to meet with persecution. He fled from Mecca in A.D. 622, and his flight, called the Hegira, supplies the date from which the Mohammedan calendar is reckoned. He succeeded in bringing under his religion and authority the scattered Arabian tribes, and returned as a conqueror to Mecca. When he died, in A.D. 632, he was the accepted prophet and ruler throughout Arabia. that in the hereafter there will be a final resurrection, judgment, and heaven or hell for every man. At first Mohammed relied on moral influences in preaching his message; but soon changed his methods and became a warrior, leading his united and fierce Arabs to the conquest of unbelievers. To each land or tribe they gave the alternatives of Islam, tribute, or death to those who resisted their arms. Mohammed was succeeded by a series of caliphs who built up a vast empire by the sword. Palestine and Syria were soon conquered; and the holy places of Christianity fell under the power of Islam. Province after province of the Greco-Roman Empire was seized, and soon all that was left was the city of Constantinople, so that all the lands of early Christianity became subject. Where the Christians submitted, their worship was permitted under restrictions. Eastward the empire of the caliphs extended beyond Persia into India. Their capital was at Bagdad on the Tigris. Westward, their conquests included Egypt, all northern Africa, and the greater part of Spain. Nearly all of this vast empire was gained within a hundred years after “the prophet’s” death. But its progress in western Europe was stopped in southern France by Charles Martel, who rallied the discordant tribes under the leadership of the Franks, and won a decisive victory at Tours in A.D. 732. But for the battle of Tours, it is possible that all Europe might have been a Mohammedan continent, and the crescent have taken the place of the cross. It is an interesting question — why did the Mohammedan religion and arms triumph over the oriental world? We may name some of the causes. The earliest believers in Mohammed were the fierce, warlike Arabs, never conquered by a foreign foe, who followed their prophet with a sincere, intense, all-conquering faith. They believed that they were accomplishing the will of God, and were destined to succeed. Everyone who fell in battle with the unbelievers was destined to enter an immediate heaven of sensual delight. Against this virile, unconquered, and conquering spirit was the weakened, submissive nature of the Asiatic Greeks. From remote ages those lands had submitted meekly to conquerors. Their people had lost their vigor, would rather surrender than draw the sword, and pay tribute in preference to defending their liberty. Vast numbers of those in the Greek Empire were churchmen and monks, ready to pray but not to fight. The Islam religion was far superior to the paganism which it displaced in Arabia and the lands east of that peninsula; and, it must be admitted, stronger than the type of “Christianity” which it met and overcame. The Eastern Church, unlike the Western, had long ceased missionary effort, had lost its energy, and was inclined to speculation, rather than to moral or spiritual effort. In the religion of Mohammed at its best there were, and still are to be found, some favorable aspects, elements of value to the world. One was its simplicity of doctrine. It believed in One God, whom it was every man’s duty to obey implicitly. It had no mysterious intricate system of theology, giving rise to interminable, useless controversies. There was no need of scholarship to understand the articles of the Mohammedan faith. Another trait of the Islam religion was its opposition to image worship. Throughout the Christian world the statues of the old gods and goddesses of Greece had simply given place to images and pictures of the Virgin Mary and the saints, which were worshiped in all the churches. The Moslems cast them out, destroyed them, and denounced all adoration of images, whether carved or painted, as idolatry. The Mohammedans rejected also all priestly and saintly mediation. The church of that world made salvation depend, not on simple faith in Christ and obedience to him as Lord, but on priestly rites and the intercession of departed saints. The Mohammedans swept all these away, and in their doctrine, brought every soul face to face with God. Throughout the Moslem world is the rule of abstinence from strong drink. The first “temperance society” in the world’s history was the Nazirites in Israel; and its successor on a larger scale was the Mohammedan religion, which forbade the faithful to drink wine or strong liquor. This is still held as a principle, but is not universally followed where Mohammedans live in contact with Europeans. In the early period, under the caliphs, literature and science were promoted. The Arabians gave us the numerals, 1, 2, 3, etc., which were a great advance on the Roman system of notation through letters. In astronomy, they made one of the earliest catalogues of the stars. The court of the caliphs at Bagdad was a literary center. Mohammedan Spain was higher in culture and civilization than the “Christian” kingdoms of the period in that peninsula. But all intellectual progress ceased when the barbaric Turks succeeded the enlightened Saracens as leaders of the Mohammedan world. Not to make our picture of Islam more favorable than the truth would warrant, we must notice on the other side some areas wherein Mohammedanism has failed, i.e., its errors and its evils. A major wrong to humanity was in its method of missionary enterprise through the sword, promoting hate among men instead of love. Wherever a city resisted their conquest, its men were put to death, the women were placed in the harems of the victors, and the children were brought up in the Moslem faith. For many centuries the Turks made a regular practice of seizing untold thousands of “Christian” children, tearing them away from their parents, and bringing them up in distant provinces as bigoted devotees of Islam. In the old Islamic conception, the state and the church were absolutely one, and the government was expected to use its power to the utmost for the promotion of the true religion and the suppression of false faith. Prior to World War I, the Sultan of Turkey was also recognized as Caliph (“successor of Mohammed”). When Turkey became a republic, the Sultan was dethroned and the Caliphate abolished. Other changes have taken place with the modernization of Turkey: One significant fact was the translation of the Koran into the vernacular. At Istanbul, in 1932, the Koran was read in the mosque of Sancta Sophia for the first time in Turkish. Islam practically leaves Christ out of its doctrinal scheme. In the Mohammedan view he is not the Lord of the heavenly kingdom, the Son of God, the Savior of men; but is reduced to the rank of a Jewish prophet, inferior in every respect to Mohammed. Its conception of heaven, the abode of the blessed in the life to come, is totally devoid of spirituality and is altogether sensual. One of the most debasing traits of the Mohammedan religion was its degradation of womanhood. Women were looked upon merely as the slaves or playthings of men. Modern Turkey has remedied this condition, and in 1930 gave women the right to be electors and to be elected at municipal elections. But outside Turkey, women are held in small respect in the Mohammedan world. In the field of history and politics, perhaps the most striking failure of the Mohammedan state has been in the realm of national administration. The Mohammedan leaders were amazing in their conquests, sweeping in a resistless torrent across continents from China to Spain. But they showed no power for wise, just government of the empires which they founded. Islam lands were the worst governed on earth. Contrast the history of the Turks in this respect with that of the ancient Romans, who showed that they could not only win a great empire, but could rule it wisely, bringing prosperity to every land which they had conquered. NOTE: Max Muller (1823-1900) of Oxford University was one of the most learned and popular scholars of his day. In an article published in Nineteenth Century magazine (February, 1894), Professor Muller argued that Mohammed was quite familiar with both the Old and New Testaments, referring to them as the Word of God, and that he had a regard for Jesus, speaking of the Lord in higher terms than Abraham. Mohammed’s favorite wife was well acquainted with Christianity. Muller says, however, that the form of “Christianity” to which Mohammed was exposed was exceedingly corrupt. Consequently, he turned away from it. Think of how different world history might have been but for the perversion of the Christian faith.